Unemployment Roadshow | It’s kind of like bring your daughter to work day, but it’s bring your jobless friend to work instead. After University, wayward and unsure of how to get a real job, I decided to go treeplanting in Northern Ontario. It was hell. 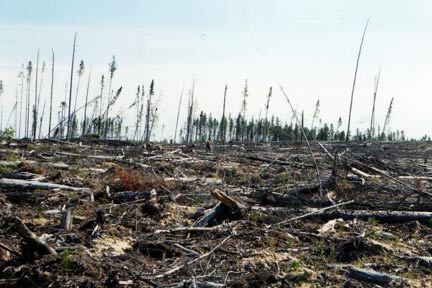 I would spend 10 hours each day clawing my way through the churned up land of a clear cut block, trying to get pine seedlings into non-existent top soil. Each time I thrust my shovel into the ground, it would smack hard against the unyielding rock of the Canadian Shield and reverberate back up my arm. With 40 pounds of trees strapped to my hips, I waddled around overturned tree stumps and razor sharp brush to try and plant my trees–worth 6.5 cents each. Swarms of black flies and mosquitoes relentlessly buzzed and attacked–sometimes biting so close to my eyelids that I came home with tears of dried blood streaming down my cheeks. At 6:00 pm, a rickety old school bus would ferry me back to camp, which consisted of a small pup tent, cold showers, and crappy food. Sitting on the back of the bus, I would pull off the duct tape that I wound around my fingers to protect the skin on my hands. It only helped a little–most of my skin was rubbed raw from jamming my hands into the ground all day. As we bumped along the dirt road, exhausted and filthy, my friend Guy and I would discuss our futures. We would declare adamantly that we never wanted desk jobs. The idea of a desk job seemed like a form of imprisonment, as though taking one would be selling out and succumbing to the rat race that was responsible for so much evil in the world. Somehow, the 10 hours of physical torture I endured six out of seven days seemed better. Those anti-establishment attitudes ended with the nineties. Thankfully. And while I avoided the ‘desk job’ for sometime–working farms in Australia, teaching kids in Japan, and two more seasons of planting–it eventually caught up with me. Being on the Roadshow has had me re-examine my nineties take on the ‘desk job’. While it is certainly naive, there is still something to be said about wanting to avoid a job that makes you unhappy and painfully aware of the 8 hours plus of each work day–desk or no desk. My desire to avoid this–to find something fulfilling and rewarding–is what put me on the Roadshow in the first place. I wanted to be sure I didn’t take a job simply for the sake of having one. And it’s been tough. I’ve been offered jobs (mostly fundraising positions) that paid well, and in some instances, were high profile. But they weren’t what I really wanted to do. And I knew taking them would mean, after the newness wore off, I would be right back where I started. Through the Roadshow, I’ve had the chance to work along side a number of people who love their work, who actually like to get up in the morning to do their job. It’s been an inspiration to think that it’s possible to have this kind of relationship with your work and given me hope that I might actually find that. And the next stop on the Roadshow was no exception. It was with yet another person who loved her job. My mentor for the day was Helen Stortini, the Executive Director of a non-profit called Growing Chefs! Chefs for Children’s Urban Agriculture. The organization’s goal is to teach kids and the community about the food they eat and inspire them with the idea that they can grow their own food, even in the city. 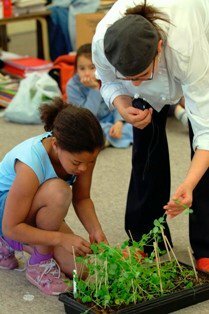 It brings chefs into elementary school classrooms, dressed in their chef whites, to plant windowsill vegetable gardens, teach kids about food, and do cooking lessons. 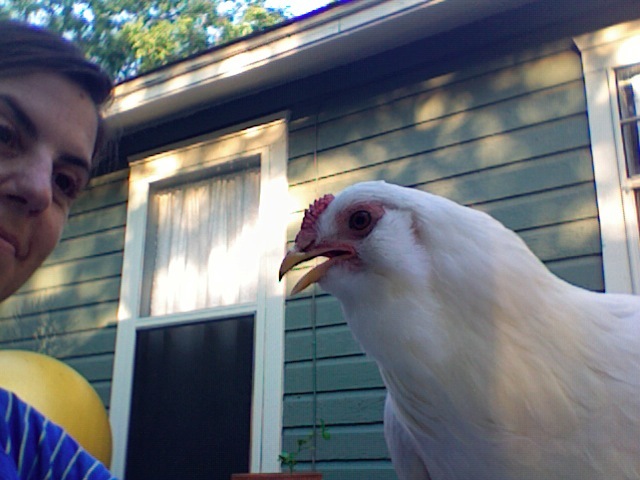 Much like the Executive Director’s position, my role for the day was varied. 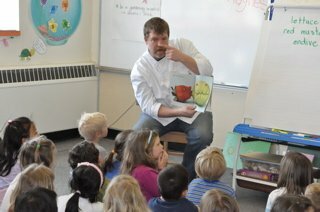 I worked on volunteer recruitment–going from kitchen to kitchen trying to enlist new chefs. I researched funding opportunities. I developed a communications strategy and wrote copy for a new website. I organized the schools, finding out which classrooms would participate in the program. And a whole slew of other tasks–some administrative, some creative, some strategic. At the end of the day, while I had spent most of my time at a desk–and still had all the flesh on my hands–I felt great. 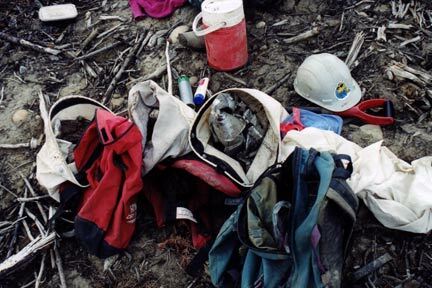 I wasn’t filthy or covered in bug bites, but I did feel exhiliarated–like I had been part of something really important. Like I could do this every day and feel good about it. Now, before anyone corrects what would appear to be typos, it’s time for the full disclosure. I’ve got a job. (Gasp!) A part-time six-month contract, but a job nonetheless. And I love it. I found it the old-fashioned way with a resume submitted to an online ad. (Okay, well not that old-fashioned. But it was reassuring to know that it’s still possible to find work this way). But I never would have found it without the Roadshow. Without the Roadshow, I would have taken a fundraising position ages ago. And my stints job shadowing have helped me realize that working with food, food writing, food education, and food systems was where I wanted to focus. (Thank you Chef Kristine and Chef Robin.) I guess I’ve always secretly wanted to be the love child of Jamie Oliver and Alice Waters–the Roadshow just helped me realize I could be this through my work. I agonized over whether or not to take this job. Because I felt like it would be the end of the Roadshow. But at the same time, the whole point of the Roadshow was to do exactly this–help me find work that I loved. And it did. But along the way, I fell in love with the act of doing the Roadshow. I was so torn on what to do. So I decided I’m going to have my cake (which isn’t much, trust me) and eat it to. I realize employment takes away some of my credibility on the ‘Unemployment Roadshow’–but I’m still going to do it. Because 50% of my working week remains unemployed. Although I suppose now I’ll have to re-brand as the Part-time Employment Roadshow or Underemployment Roadshow. But whatever. The Roadshow will continue on. If you’re willing to ride along with me in an exploration of meaningful employment and the work people do, I’m willing to do it. Besides…I still need to get myself gigs as a flight attendant, stand up comic, adult store attendant, carney, zookeeper, mascot, embalmer, and chicken sexer! Find out more about my new employer, Growing Chefs! And to see Growing Chefs! on CTV have a watch here. 1. If you’re on EI, you’re entitled to a case manager. Get one, even if you’re almost at the end of your claim. 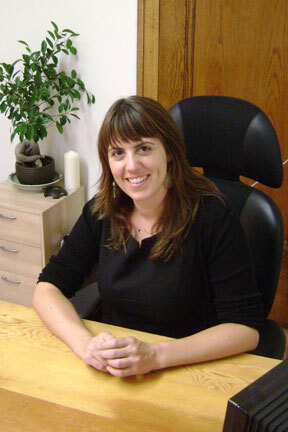 Because the case manager will tell you in more detail all of the great services that you can access. 2. Wage Subsidy programs — If you’ve been on EI in the last three years, you can apply for targeted wage subsidy. You can get more information about it at Future Works. This program will entice an employer to hire you because the subsidy program will pay up to 40% of your wages for three to four months. It’s geared for folks who might need to do some on the job learning. 3. Self Employment programs — Same deal — if you’ve been on EI in the last three years you’re eligible. This is for folks who want to start their own business. A case manager can give you all the information to get you started on this. Or you can find more information on the Service Canada site. 4. Tuition — EI will also chip in for additional skills development. They’re not going to pay for your masters degree. But they will contribute to some skills upgrading and training. Check it out here. The Roadshow will return with its regular-scheduled programming next week! The air in the narrow studio was sticky from sweat and laboured breathing. Slightly worn from an intense round of sparring, sixteen men lined up before me awaiting instruction. They ranged in ability from beginner to 2nd grade instructors, but even the newest of the beginners was more experienced than me. (Since I don’t think six months of watching Bruce Lee films with my post-college boyfriend counts as Kung Fu training.) And there was no way to fool them otherwise — I had already made a rookie mistake of greeting them with a hand gesture that implied I wanted to fight, not say hello. (My right fist pressed into my left palm with knuckles facing inward instead of outward.) The class stood patiently waiting for me to tell them what to do. I stared back at their expecting faces wishing secretly that I could instantly upload Kung Fu fighting into my neuroreceptors. This Roadshow stop was at Wing Tsun Kung Fu Vancouver. The Sifu, which loosely translates to “father master”, Ralph Haenel started the school in 1994 after immigrating to Canada from former East Germany. Ralph isn’t what you would expect from a martial arts instructor. 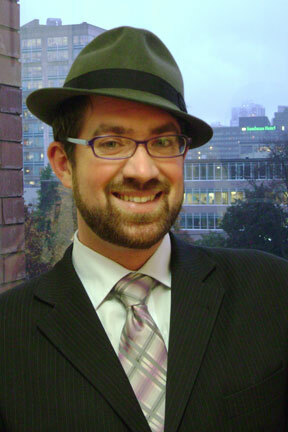 He laughs constantly, has a jovial demeanor, and his classes are fun and informal. Unlike what is often depicted in the movies, his students don’t cower before him obediently as he yells out military style drills. Instead, he offers encouragement and support. He playfully teases his students. And they tease him back — not at all the quiet deference I had imagined. But it’s clear, despite this level of familiarity, Ralph’s students respect him and take his teachings seriously. They know that in the midst of a demonstration, while he’s poking fun at them, or possibly making a joke about himself, he could switch gears in an instant to deliver a powerful blow (which he sometimes does.) And they understand that what he teaches them could potentially save their lives in a violent situation. 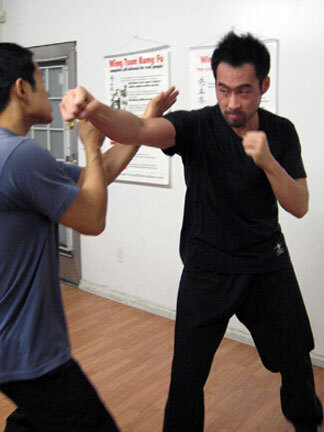 Much like Ralph isn’t your stereotypical Kung Fu instructor, Wing Tsun isn’t your typical Kung Fu. It doesn’t look like the stylized stuff you see in films. (Although Bruce Lee did train in Wing Tsun.) At first glance, it looks sloppy. But a closer examination reveals that seemingly sloppiness is actually a calculated (and potentially deadly) fluidity. And Wing Tsun is all about self-defense. It’s not a sport martial art. People don’t train for scenarios involving a referee and a rulebook. They train to protect themselves from harm. After introducing me as a ‘guest instructor’, Ralph led the class through a series of sparring exercises to work on improving reflexes, speed, and strength. In his demonstrations, Ralph selected a volunteer and encouraged the student to hit him with all their force. 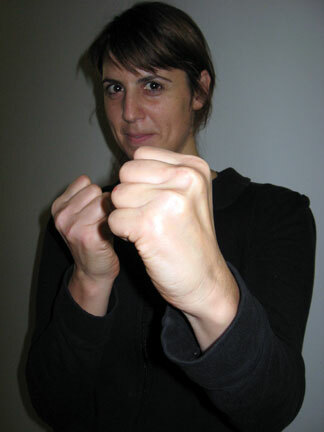 This is also unique to Wing Tsun — in other martial arts a student is usually forbidden to hit his teacher. But in order to simulate a real life physical confrontation and trigger adrenaline, actual contact is necessary. Ralph sustained blow after blow from his students. But according to him, it doesn’t hurt. And Ralph has handled a lot more than most. As a young man in East Germany, Ralph’s interest in martial arts raised suspicion among the Stasi, East Germany’s Secret Service. Unbeknown to him, he had been under surveillance for years. In the summer of 1988, because of his involvement with Wing Tsun and his interaction with martial arts organizations in the West, he was thrown into jail as a political prisoner. But Ralph’s imprisonment only spurned a dedication to the very thing that caused his incarceration in the first place. 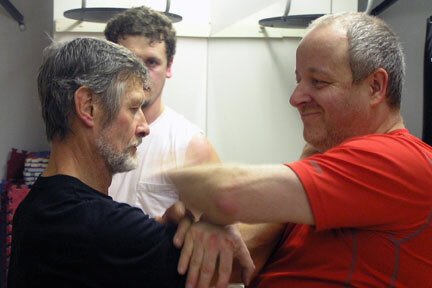 When the Wall finally fell, and Ralph was freed, he moved to West Germany to train as a certified Wing Tsun instructor—and he’s been doing it ever since. This past December he celebrated his 25th Wing Tsun anniversary. During the exercises, Ralph encouraged me to wander the room and join in. I would pair up with a student or a trainer and awkwardly fumble through the drill. I couldn’t help but involuntarily squeal and apologize every time I actually hit my partner. As the end of class approached, Ralph gathered the students around and handed the class over to me. I was floored. Even after three hours, I didn’t know a single thing about Kung Fu — or at least I didn’t think I did. As the ‘guest instructor’, it was the scenario that I had hoped most to avoid. But it was as if Ralph sensed my dread to be in the spotlight and decided I needed to overcome my fear. I looked to Ralph for help. He smiled back at me encouragingly. It was clear to me that Ralph’s not just in the business to teach his students how to deliver a punch or dodge a blow. Instead the core of what he teaches his students is to believe in themselves—to have the confidence to deal with whatever life throws you—be it a violent attack or an unwanted turn in the spotlight. I looked at the faces of the men and boys lined up in front of me. I knew there wasn’t going to be an instant upload of Kung Fu techniques to my brain. So I picked a punching drill I had seen Ralph do earlier and decided to just wing it. 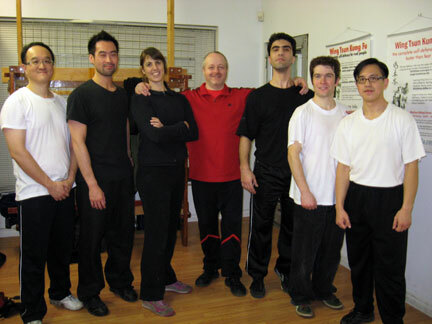 Click here to learn more about Wing Tsun Kung Fu Vancouver. To try out a class for yourself, check out the Wing Tsun open house on February 1st and February 3rd. 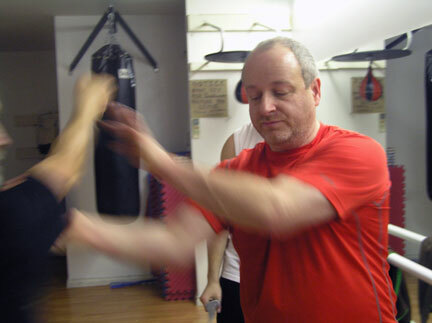 Some kickass Wing Tsun action by Sifu Steve McMinn 1TG. So I’ve decided it is time to expand. To start, I’ve invited a couple foreign correspondents to come onboard. At the moment, I’ve got people stationed in Australia and the U.K. They’re going to make the occasional guest appearance telling their own tales of job shadowing, as well as their own twist on how they plan to seek out their dream job. 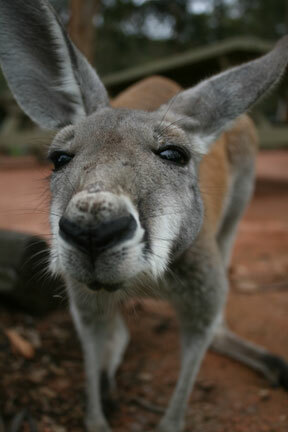 If you too want to be a foreign (or not so foreign—some Canadian placements would be great) correspondent, let me know. Be you employed, under-employed, or unemployed, the Roadshow would love to hear your story. Shoot me an email at helen@unemploymentroadshow.com. As much as I love the city of Vancouver, I have an equal fondness for Toronto. (I’m a rare breed, I know.) Since I’m in Ontario visiting my family, I figured I might as well take the Roadshow with me. So starting today, I’ll be looking for some roadshow stops in this lovely, albeit (insert expletive here) freezing city. If you have any suggestions, or want to invite me to work, contact me here. I’m in Toronto until January 5th. Also, I have the final list for the Roadshow Readers’ Choice. Here are the most popular (mixed in with some of my favourites.) I’m leaving it up to you to make the final decision. Contact me here to cast your vote, or to add a few more to the list! The Roadshow will resume with its regular-scheduled Roadshow stop posting in the New Year. Next up, Kung Fu fighting! Of the few things that stand out from my high school education is a video that I watched in my OAC World Issues Geography class. (My reference to OAC may give some indication of just how long ago this was.) In high school, videos usually meant nap time. But for this particular flick, I was compelled to stay awake. It was all about the environment–specifically global warming–which was still more than a decade away from being a household word. 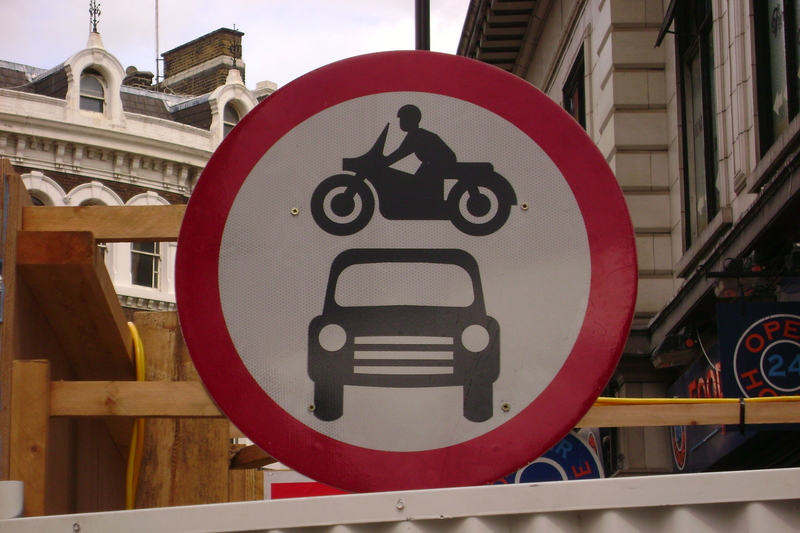 The video, set in a utopic future, was a mockumentary on how the world solved its environmental and social issues, such as pollution, poverty, and even war, through carbon trading. It seemed so simple–wealthier countries that exceeded their worldwide regulated carbon output quota would invest in clean energy production in developing nations. This created a reduction in the greenhouse gases pumped out into the atmosphere and stimulated economic growth in countries that needed it. Even my apathetic 18-year-old brain thought this made sense. Both my geography teacher and the video were way ahead of their time. After much back and forth, Joseph and I developed a script that we both felt represented him and his company–and was concise in its message. It was a job I was happy to do. Because I believe Joseph, and individuals like him, are part of a greater movement that will make the utopic picture painted for me as a pre-adult become a reality. Sure, it may be an overly optimistic attitude, especially in light of the COP-15 outcome, but even when I wasn’t napping in high school, and currently still today, I’ve always been a bit of a dreamer. Oh..and if anyone remembers what video it was that we watched in Mr. Annett’s OAC World Issues class circa 1995, please send me the name!